Originally making waves as a founding member and lead guitarist for longtime Midwest music scene staple, The Smokin Bandits, Pat Ferguson has emerged as a renowned and nationally recognized solo performer, songwriter, and vocalist; his sound channeling Americana, bluegrass, and folk, deeply influenced by his Upper Mississippi River musical roots. Based in Madison, WI, Pat has announced the release of his first full-length solo effort, “Light of Day / Dark of Night,” out now on LoHi Records. Produced by Adam Greuel of Horseshoes & Hand Grenades, Light of Day / Dark of Night is a record that paints the picture of retrospect and builds an appreciation for what it means to ride the highest of highs or lowest of lows, while longing with admiration for the other. The album showcases a collection of original music that combines gorgeous instrumentation, stirring harmonies, and powerful songwriting rooted in his core influences. Coming off of a hugely successful Spring and Summer 2018, which took him on runs through the SE, Colorado, and a host of headlining, support and festival appearances (including Revival Music Festival, Bon Fire Music & Arts Festival, Moon Dance Music Festival, Big Wu Family Reunion, Larryfest, Great River Folk Fest, WanderFest and Boast & Bluegrass), this Fall, Winter, and Spring will be ramping up with big “Light of Day / Dark of Night” release shows planned across the Midwest and beyond. When off the road, Pat hosts two residencies in Madison. He is the house musician at HotelRED and performs every Wednesday evening, and also hosts a “Pat Ferguson & Friends” residency the last Tuesday of the month at the UpNorth Madison which features some of the Midwest region’s finest musicians. 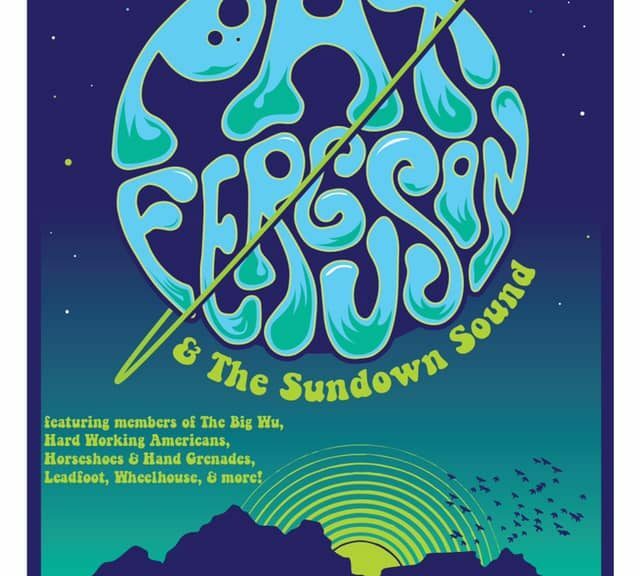 In fifteen years of touring, Pat has shared the stage and performed with Grammy Award winners, Country Music and Rock n’ Roll Hall of Fame members, and countless other world-class musicians including Merle Haggard, Little Feat, Dr. John, Jason Isbell, Todd Snider, Great American Taxi, The Big Wu, Horseshoes & Hand Grenades, Dead Horses, The People Brothers Band, Bill Miller, Trampled by Turtles, Chicago Farmer, and many more.